Sony BDP-S760 review | What Hi-Fi? We wouldn't be exaggerating if we said this machine was one of the most significant models to hit the high street in 2009. 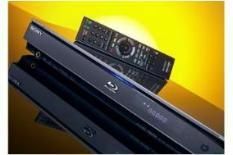 And with its successor, the BDP-S770, not arriving until September 2010 and the price continuing to drop, the 'S760 now has the potential to be the most value-packed player sat on the shelves. But why did we heap so much praise on this particular machine? Well, it was the first mid-priced deck to punch so far above its weight. More expensive players feared for their star ratings when put up against the Sony. The appeal didn't only stem from the fact the 'S760 includes niceties such as wireless connectivity and multichannel analogue outputs; it also benefits from sophisticated picture processing technology found on the company's £1000 BDP-S5000ES Blu-ray player. The Blu-ray of Up boasts a very colourful palette and there's ample opportunity for the Sony to appear overblown, but characters and surroundings are painted in a very natural light. Moving on to Terminator Salvation, the player does a great job of uncovering detail. As Marcus and Kyle are being chased by the robotic motorbikes, the fast-paced movement is handled very calmly. But for all its strengths, the problem for this deck is that the Panasonic DMP-BD85 – not to mention Sony's own BDP-S370 – has significantly raised the bar. Such new machines display a marginally cleaner picture with even sharper edges. The BDP-S760 still sounds very revealing, especially in the midrange and treble, but rival machines now highlight a slight leanness in the bass. Compared to the likes of the Panasonic 'BD85 and even Sony's own 'S370, the ‘S760 now sounds a little insubstantial. At the time of launch last year, the BDP-S760 was a clear step up over everything else in the budget and midrange sectors of the market. But such is the array of talent on offer from the latest models, this former Award-winner has to drop a star.